Are you looking to start your side-hustle and need tips for choosing a direct sales company? When I joined Stella and Dot I didn’t give a second thought about whether it was a Direct Sales company or not. My sponsor was my good friend and my Stylist and I was in love with the jewellery. When I realised I could get paid to wear and share it I jumped at the opportunity. I made a small investment and got lots of free jewellery for doing so. 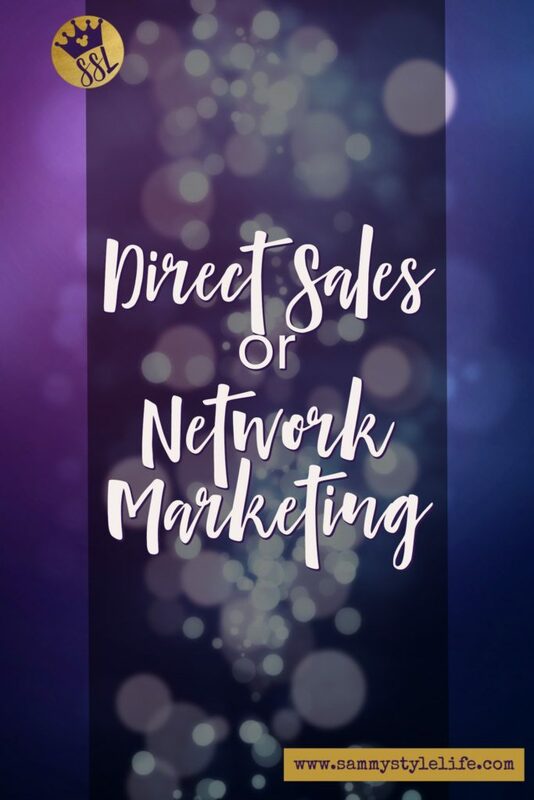 If you’ve read my article “Direct Sales or Network Marketing” then you may now be ready to join a reputable Direct Sales company. When you join a Direct Sales (DS) company you earn commission on your products through selling to your customers. In the beginning, this will be your friends and family. To increase your earnings you’ll need to work at selling to new contacts and you’ll need support to do so. Your support will come from the DS company and specifically your “Upline”, for the purpose of this article I’ll refer to those as your Sponsor. When someone is trying to “recruit” or “sponsor” you, you’re basically being offered an “opportunity” to invest some money into a small business. Working in Direct Sales gives many people the opportunity to work from home and earn some extra money. 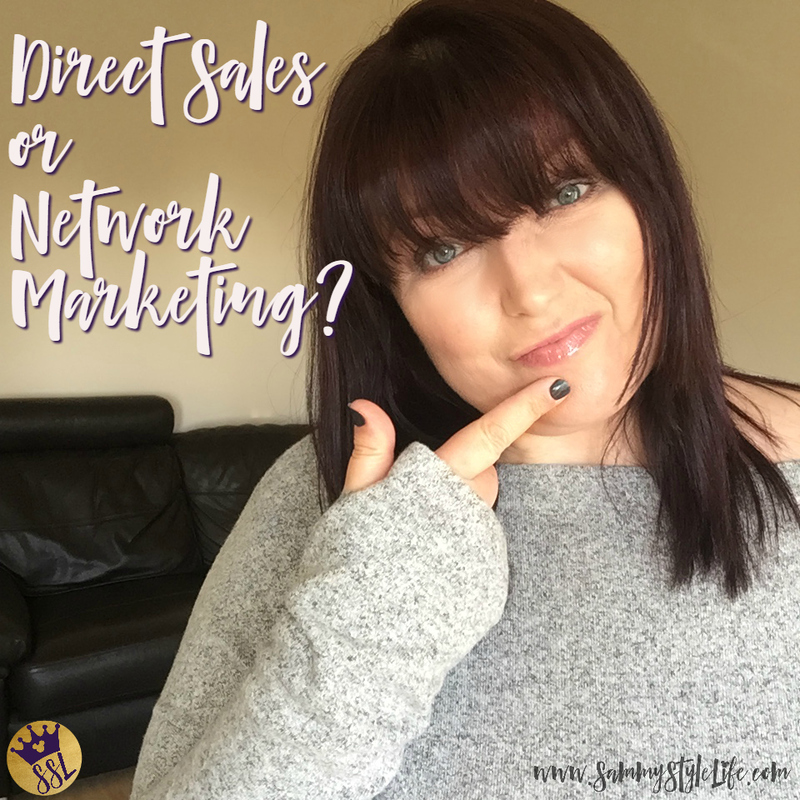 Direct Sales is ideal for many new mothers who don’t wish to go back to their permanent jobs or work full-time. Choosing a Direct Sales company to join is hard, especially if you’re not really sure what you’re getting yourself into with Direct Sales. 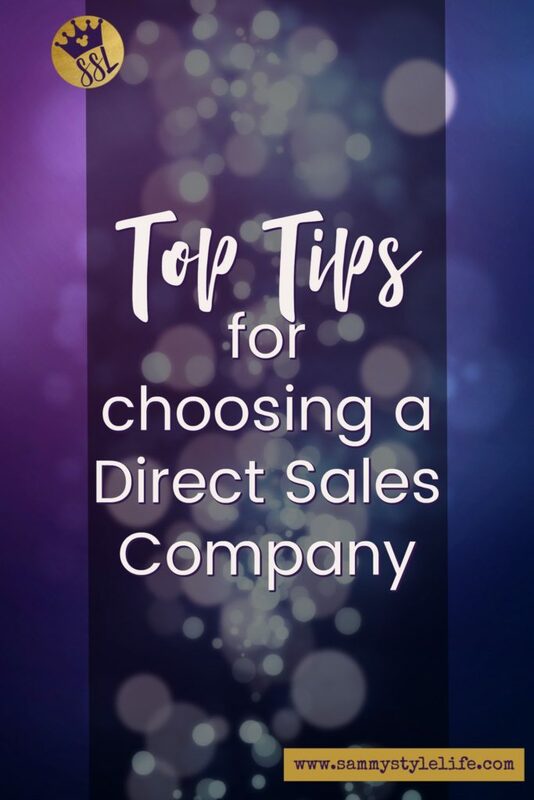 I have 4 top tips below which can help you pick the right Direct Sales company and opportunity for you. Do you love what you are thinking of getting paid to share? This is paramount because your customers deserve authenticity. Customers will sniff out fakeness a mile away. In addition, you are more likely to win sales when you are passionate about the product or service. Customers want to know you genuinely use and love the product. Is this a new product or service that a friend is offering you an “opportunity” to buy into? Make sure you know as much about the product as you can beforehand. Try it yourself before making that investment otherwise you could find yourself coming off as a disingenuous, this is not an attractive look for your customer! You may already know the person talking about the opportunity and so feel confident in their knowledge and experience. How long have they been with Direct Sales company X? What training will he/she personally provide in addition to company led training? How many people do they have already on their team? Do they hold meetups for their team, online or in person, in order for you to network with other sellers? How much have they earned since joining the company? What do they enjoy most about working for company X? What do they struggle with, when selling the product? Getting the answer to these questions will help you with your decision, listen to your gut! if something sounds too good to be true I find it generally is. what you can work towards for when the time is right for you to take this exciting plunge. This is really why you’re in it, right? You want a side-hustle which you can make money from. Be sure to ask to see the full current commission structure. Just as in any sales environment you earn commission on how much you sell. If you decide to recruit or sponsor yourself you could earn further bonuses on your team performance. It’s an attractive opportunity to “recruit” your own team because usually, your earning potential will increase. However, if you don’t want a team under you, that’s OK, don’t be disheartened you can still earn your way. My personal experience with joining Stella and Dot was enjoyable. I trusted my Sponsor, I couldn’t see a loophole or tricks to get me to sign-up. Once I had made my minimum investment I can continue to be a Stylist and still get my discount for as long as I pay the current annual membership of £39. I didn’t need to sponsor a team if I didn’t want to but I’ve found doing this with others is more fun, so I did! Can any woman ever have enough jewellery? Isn’t it better, to get it for free! 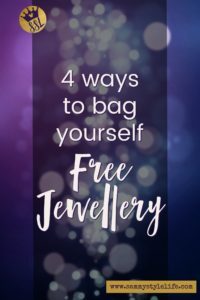 Here are 4 ways to bag yourself free jewellery! It always sounds so much like hard work but it doesn’t have to be. You need to book one of these in-home sessions with your Stella and Dot Stylist… hey that’s me! You send out personal invites to friends who a) you’d love to entertain and b) also wear accessories. Tell your friends it’s a girls-night-in, with Prosecco and nibbles and a chance to try on some of the newest trends in accessories. When your friends buy any items you earn “hostess rewards”, which is essentially product credit… Ummm that’s free jewellery and up to 4 items at 40% off. If you’re not much into socialising, tidying up your house or having to fix your hair or wear a bra then an online Style Session is for you! It’s the perfect way to get your friends together to buy jewellery and accessories galore! An online Style Session on Facebook is super easy to host. When you book with me as your Stylist I do most of the work for you, so you don’t have to. All you have to do is invite your girls from anywhere in the country and shop away! Don’t want to deal with any kind of social gathering? That’s OK. If you want to see how certain pieces will go with your wardrobe then you can arrange a one-to-one Style Session. 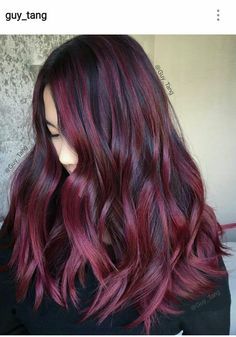 These are so much fun to do and most Stylists offer this service free! When I book these, I come round to your house with all my gorgeous Stella and Dot jewellery samples and pair them up with some of your favourite pieces. We still set up a Style Session for you just in case you order enough you can earn your own hostess rewards. Plus, I’ll leave you some Lookbooks to give to your friends and they can order too, no party involved! Remember that famous shaver Remington line “I loved it so much I bought the company”? Well, that can happen to you too! This is totally how I became a Stylist but many love the accessories but don’t want to work their business. That is OK too. 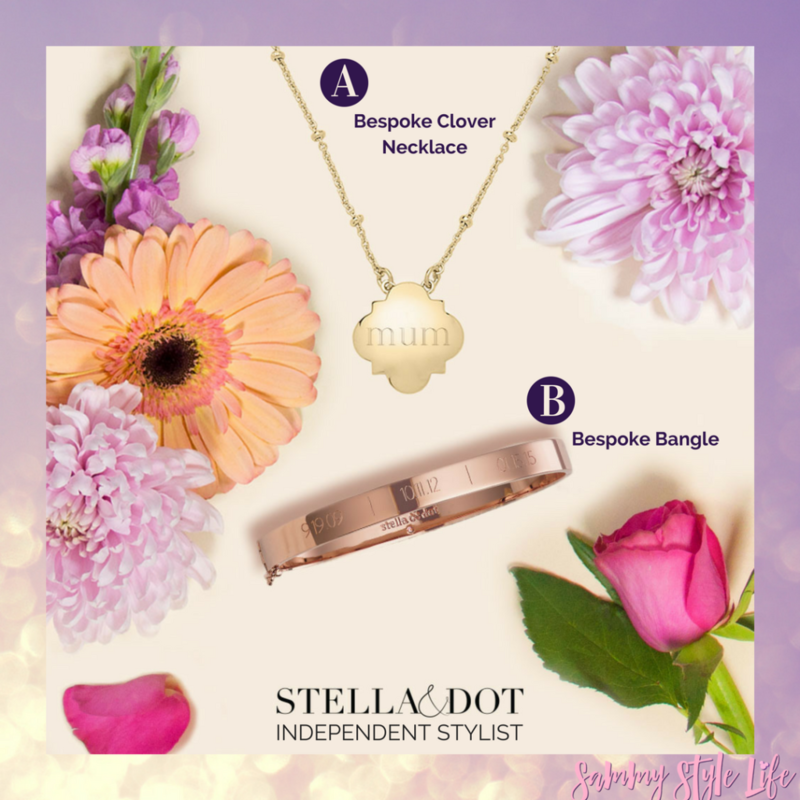 When you sign up as a Stylist with Stella and Dot you get up to earn commission on sales, and discount on products plus the opportunity to earn more free items. 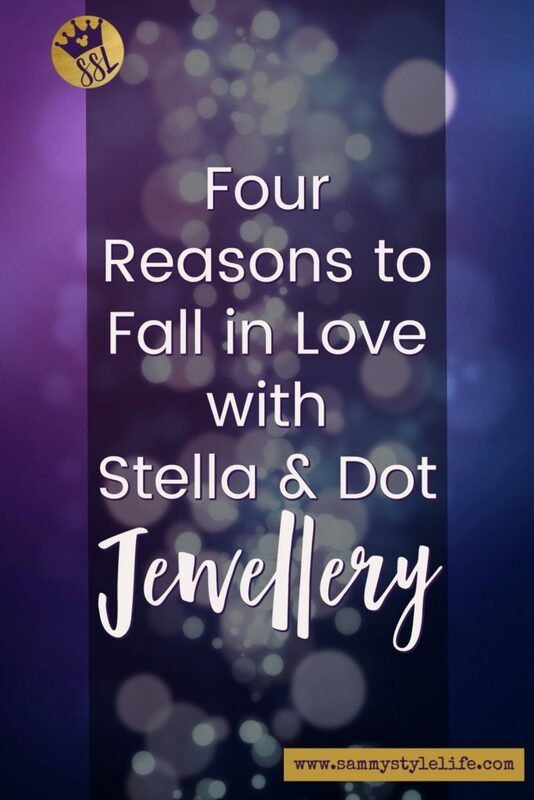 On signing up your initial investment gives a great return on a good amount of free jewellery, this differs each month so definitely contact me for more scoop on how to get that free jewellery. Want to know more? Then drop me a line here and let’s get you earning some FREE jewellery! 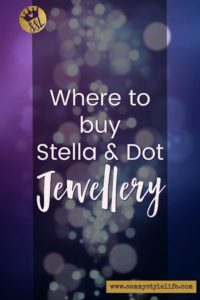 You like what you see so now let me tell you where to buy Stella and Dot Jewellery. Let’s not forget I can totally hook you up! Seriously though, below you will find the best places on where to buy some of the best styles I know! Yes, I am a little bit biased! 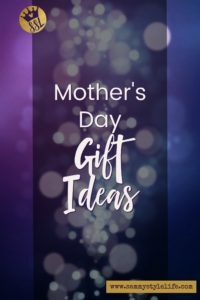 This is a great way to try on the jewels and see how they suit you and the Stylist will help the Hostesses guests with styling their outfits so you try and bag yourself an invite to one of these fun “girl-time” events. Don’t know anyone having one, well then you should host your own and bag the Free jewellery in hostess rewards! Each Stylist will have their own dedicated Stella and Dot website. 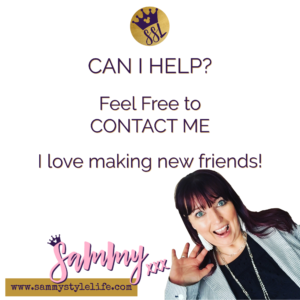 You can search for a Stylist in your area from the website if you’d like but you should know you can shop with any stylist you’d like to. 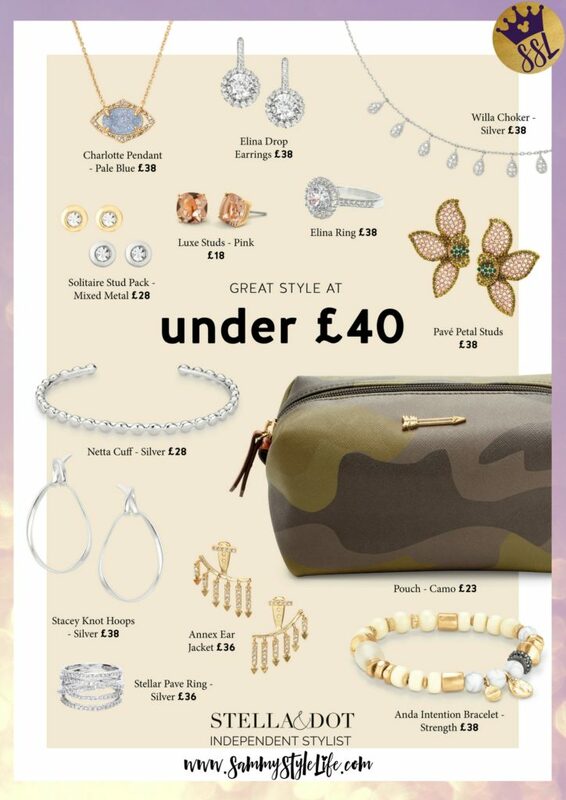 Have a browse on my Stella and Dot website and take in the gorgeousness! Contact your local Stylist and ask her to bring round her samples, most Stylists would be more than happy to do this and help you shop and suggest items to go with your outfits. I for one am happy to travel throughout the South East. Many stylists run their own private Facebook Groups. As a member of a Stylist’s Facebook Group, you get to see sneak peeks of upcoming releases. 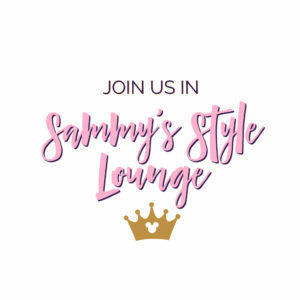 I run Sammy’s Style Lounge which isn’t just about Stella and Dot, it’s a community of like-minded women, encouraging everyone to find their own style. Most Stylists sell off their own purchased samples at a reduced price, are usually advertised in a Stylist’s Facebook Group. If you want more details on any of the above then please do not hesitate to contact me here.